This program was so well received by our NYC Chapter in April, that we are bringing it to our CT Chapter for May. In her exclusive presentation for CEO Trust, Nora Simpson, CEO at Simpson Strategic Solutions, reveals the simple, tangible ingredients that have created catalytic results for companies in more than 15 industries. These tools will change the way you approach your business. It took Nora more than a decade to develop her proprietary methodology combining neuroscience and business strategy to help companies significantly increase revenues in six to twelve months. Nora has worked with dozens of companies and thousands of people to unleash the power of the brain and central nervous system for productivity and profitability. NORA SIMPSON is one of the leading practitioners of experiential neuroscience-based coaching to transform issues and melt obstacles for individuals and groups of all sizes. For each client, Nora creates a customized series of experiences designed to release the untapped power of the brain and central nervous system within the strategies and structures necessary for business success. This unique structure leads both individuals and teams to achieve groundbreaking, tangible results that are often double, triple and quadruple what they thought possible. Nora has worked with a wide variety of industries including: health care, technology, real estate, investment management, legal, insurance, professional sports, consumer packed goods, architecture, contracting, fashion and E-commerce. Questions? 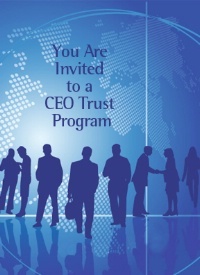 Contact Cathy Curley at ccurley@ceotrust.org.